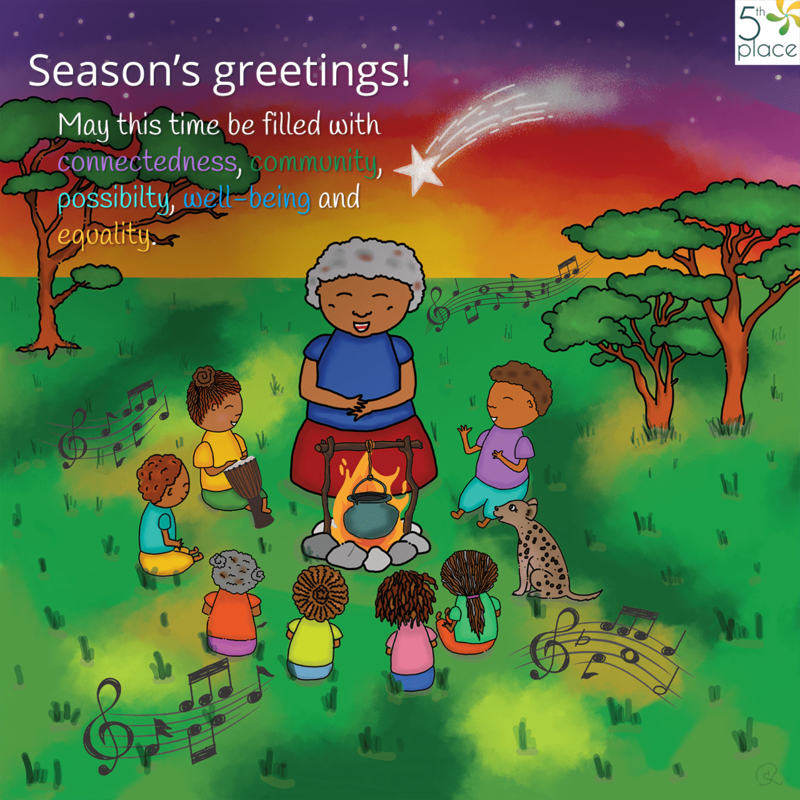 Winding down as the year draws to a close - our wish for you this festive season is to take a break, relax and breathe. We’ve almost come to the end of the year and what a year it’s been! We’ll be offering some reflections on our 5th Place journey and Shape of Emotion in another issue of The Week That Was but for now, it’s time for us all to take a break. Let’s take some time to slow down, relax, breathe and connect with what’s important in our life. Here’s a reminder of what 5th Place is about — the space of connectedness, community, possibility, well-being and equality of all people. 5th Place asks us to build a better world through the realm of feeling. By embracing our feelings and managing our emotions we can become fuller, more whole, human beings. As a full human being we can engage and connect more meaningfully with other human beings. We can engage and connect more meaningfully with other forms of life, nature and our home, mother earth. Our wish this holiday season is for you to experience a 5th Place wherever you are.